Recently, Google began rolling out updates to the new Contacts Preview. 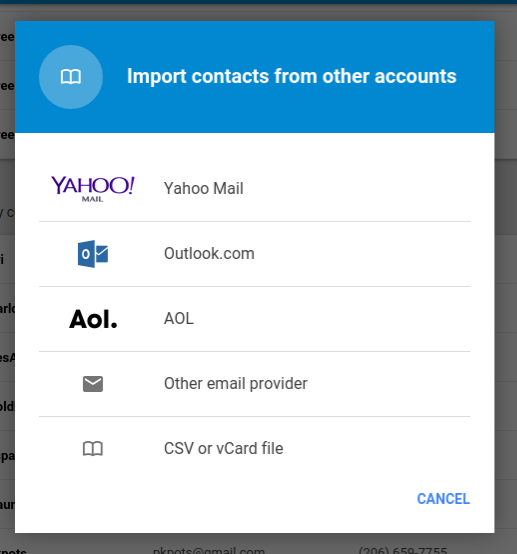 Previously, if you wanted to import contacts, you would go to the menu on the left, click more, and when you chose Import, you would be prompted to go to old contacts in order to perform the import. WIth the update, the new Contacts Preview has incorporated ShuttleCloud into the import capabilities. When selecting Import from the menu, instead of being redirected to the old contacts, you will be provided with a ShuttleCloud flow. This allows you to import contact details from over multiple email services and providers.. Using this flow, new contacts will be created, however you will have the option to merge the imported contacts with any existing contacts as well as undo the import just completed. In addition to the ShuttleCloud flow, users can also use this feature to import using a file such as CSV or XLS, however for the CSV/XLS import you will be reverted temporarily to the classic contacts to be able to import those file types. Below is a quick video on how this all works. 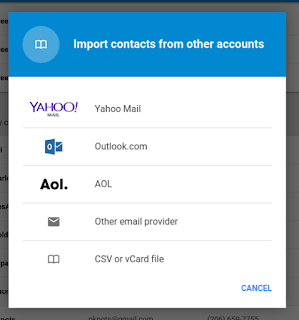 You would have to export from charter to a CSV and then import them to Google COntacts. I figured it out. Thanks for your help.